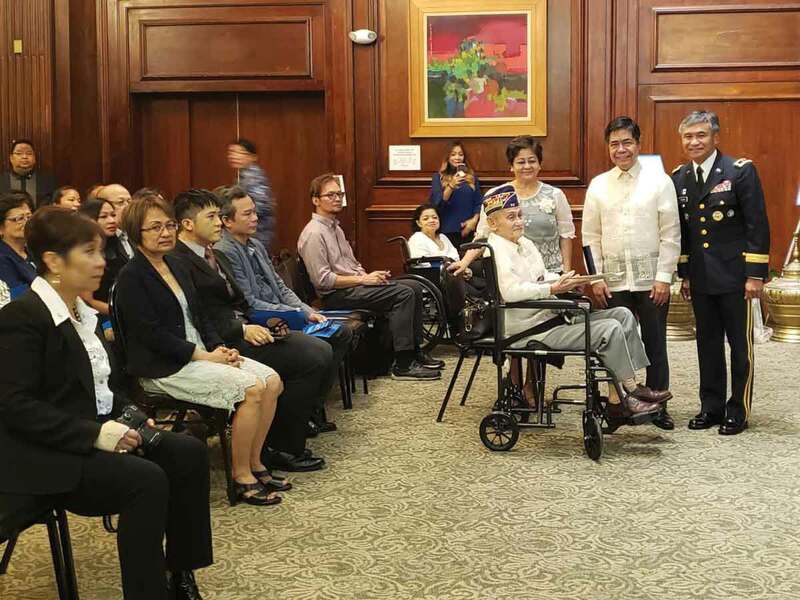 NEW YORK — Fifteen (15) Filipino World War II veterans were honored in a ceremony organized by the Philippine Consulate General headed by Consul General Claro S. Cristobal and the Filipino Veterans Recognition and Education Project (FilVetREP) led by General Antonio Taguba (ret.) held at the Kalayaan Hall of the Philippine Center on September 8. Capt. Pablo Barros, surviving WW II veteran, and the family of 14 other veterans received a U.S. Mint replica of the Congressional Gold Medal (CGM) awarded by the U.S. Congress to Filipino veterans of WW II, as well as a copy of Public Law 114-265 otherwise known as the Filipino Veterans of World War II Congressional Gold Medal Act of 2015. In his remarks, Consul General Cristobal expressed his most profound gratitude to the Filipino Veterans of World War II for the extreme sacrifices and bravery they unselfishly showed to protect freedom and democracy. He likewise thanked the family members of veterans who have passed or unable to attend the ceremony. “Rest assured that their services to our country and people will never be forgotten,” Consul General Cristobal said. 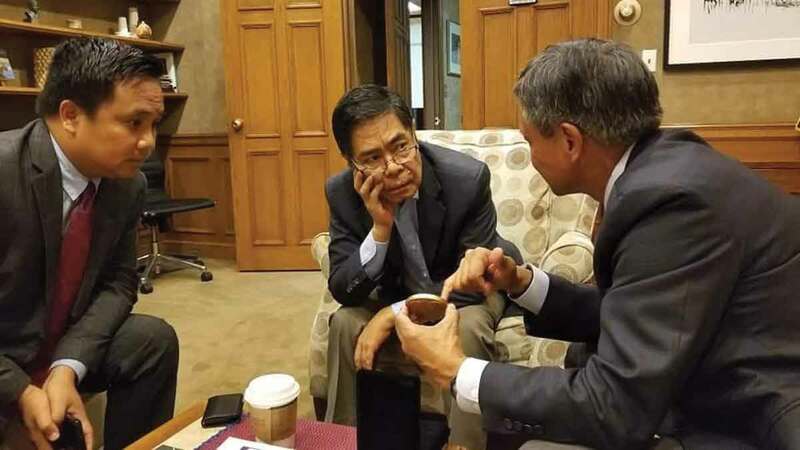 The Consul General acknowledged the efforts of Gen. Taguba, the FilVetREP, and all those who lobbied and supported the passage of the bill in the U.S. Senate and House of Representatives, particularly those in the U.S. Northeast. 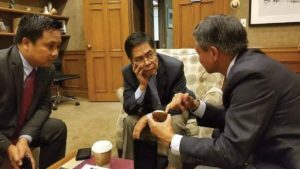 The law brought into fruition the efforts of various groups in the Fil-Am community and the Philippine Foreign Service Posts the US led by the Philippine Embassy in Washington DC. 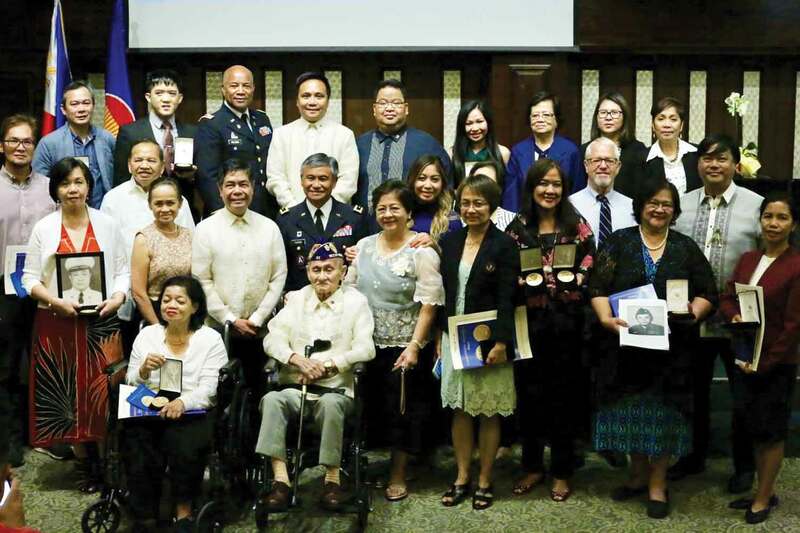 Gen. Taguba said that FilVetREP has conducted 44 awarding ceremonies across the U.S. since October 2017 when the lone Congressional Gold Medal was presented and collectively awarded by the US Congress. He said that the group is now developing an education program that will educate the public on the historic importance of the contributions of Filipino veterans of World War II. The following veterans were the recipients of the CGM: Major Jose Falco, Abelardo Perucho Andal, Santiago Hipolito, Filemon T. Magracia, Andres S. Friginal, Moises M. Santos, Romeo Guitterez, Leopoldo T. Osano, Capt. Pablo Barros, Mario J. Valdeavella, Fidel A. Ansay, Jaime B. Aban, Avelino Tanjutco, Jacobo Tanjutco and Ramon Pelaez Sobrepeña. 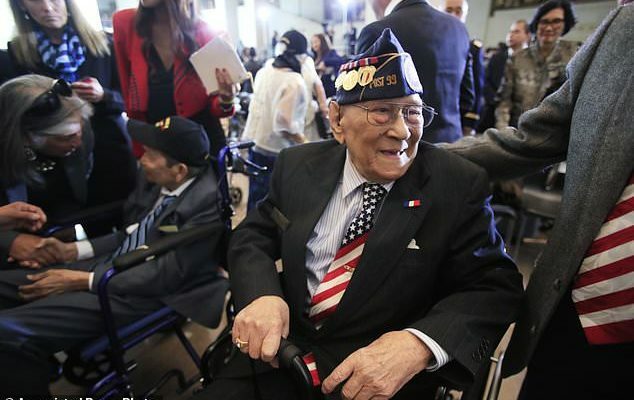 Filipino World War II veterans or members of their family who have not received the award may get in touch with FilVetREP through their website: http://filvetrep.org.